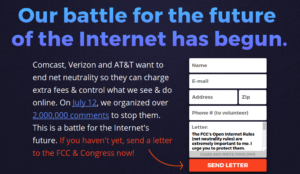 Across the internet this week, thousands of websites and individuals participated in a Day of Action to support net neutrality. You may have seen something about this on a favorite site like Amazon, Reddit, or Facebook, but do you know how net neutrality affects you? The majority-Republican Federal Communications Commission has proposed to change the internet as we know it. And it would impact your protection from hidden fees, fine print tricks, and confusing terms and conditions, too. Net neutrality is fundamental to free speech and has been called the “First Amendment of the Internet”. Basically, it allows consumers to see and do what they want online without the internet providers’ control. It prohibits these monopolistic internet providers from blocking or throttling service and prevents paid prioritization of websites. Ajit Pai, the Trump-appointed FCC Chairman, has launched a new proceeding to revoke net neutrality regulations. Pai has been a longtime critic of the FCC’s approach and the authority that Title II allows them. And now he thinks has the votes to repeal it. Some of the biggest companies on the internet are speaking out against the proposals to remove Title II provisions. Without net neutrality, big ISP companies could censor people and perspectives as they wish. Small businesses and innovators would miss the opportunity to reach their audiences on a fair playing field. And some of your favorite content could be blocked, your video streams slowed, and fees charged for visiting certain sites. On Wednesday, companies like Google, Facebook, Netflix, Amazon, Twitter, Reddit and Snapchat all displayed messages for an online protest. Some offered examples of what their site would look like without net neutrality regulations. High-traffic homepages hosted messages like “Sorry, we’re stuck in the slow lane!” Most sites also provided a link to contact the FCC or Congress to voice support for net neutrality. According to Fight for the Future, a nonprofit spearheading the initiative, more than 10 million people were exposed to the protest messaging. And more than 6.8 million comments had already been sent to the FCC by the end of Wednesday. The goal of the Day of Action was to maximize public attention to exactly how net neutrality affects you. This week proved that even surrounded by important issues like healthcare and student debt, net neutrality “is a top tier issue for a lot of people“. The future of the internet concerns some very big companies and public interest groups, and it should concern you, too. 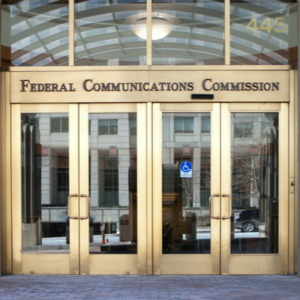 Without the authority of Title II, the FCC may not be able to set legally sustainable rules. So, what can you do to protect yourself? Well, we know that protecting yourself from the hidden fees in contracts and legal agreements is easy. 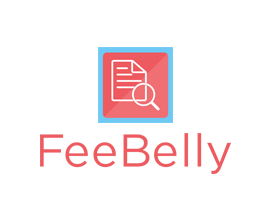 FeeBelly provides peace of mind from fine print tricks via the free contract review app. And we know that the Consumer Financial Protection Bureau (at least while it’s still around) provides protection as much as possible. But when we’re fighting with companies like AT&T, Comcast, and Verizon for the existence of the internet as we know it, every voice counts. Luckily the FCC is inviting public comments about the proposed rules to gut net neutrality. The first round of comments is due before July 17th. After that, the public will have until August 16th to reply to comments on the first round. So the easiest way to take action is to submit a comment to the FCC on how net neutrality affects you. You can also keep up with the latest developments by following organizations like the Electronic Frontier Foundation, Fight for the Future, Free Press, and Public Knowledge.